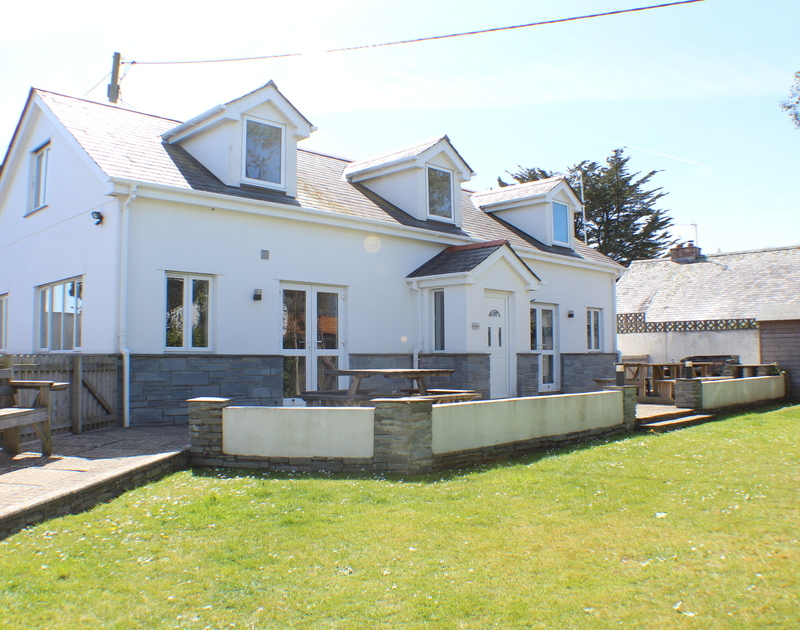 Samensa is a modern detached family home situated in the centre of Rock Village, close to all the local shops and within walking distance to the beach, golf and sailing club. Spacious and equipped to a high standard Samensa offers excellent accommodation with small enclosed garden and ample parking. Since acquiring Samensa in late 2013 the owners have made a number of improvements to the property and its furnishings including upgrading some of the kitchen equipment, new mattresses, new sofas and dining furniture and re-carpeting throughout. 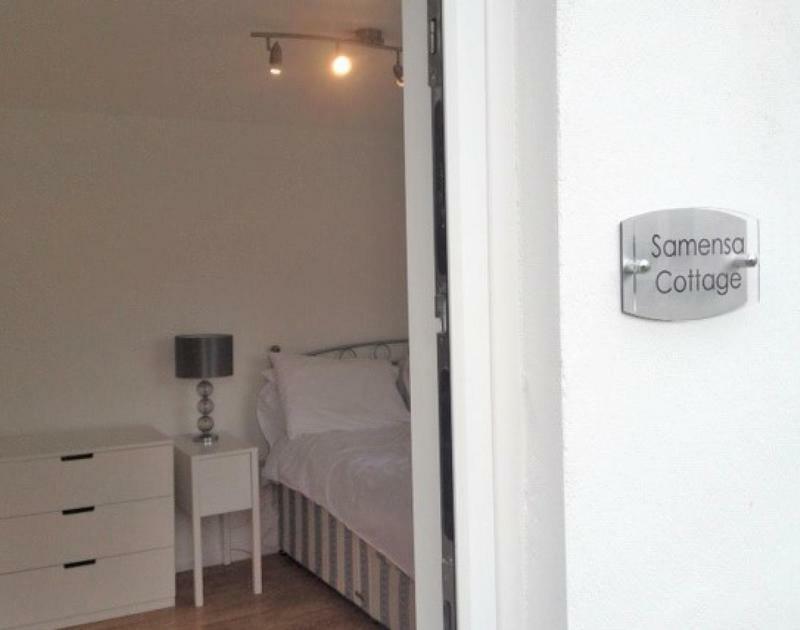 Samensa Cottage is a seperate annex in the grounds and offers excellent additional accommodation for two guests with its own ensuite shower room. 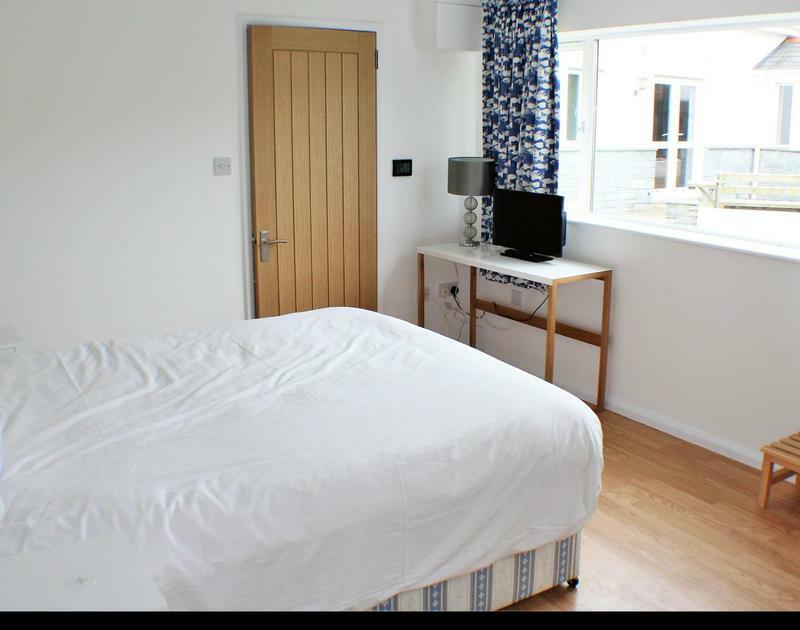 Bed linen is included in the rental cost and beds are made up for your arrival. Please bring your own towels. Damage Deposit: Please note that there is a refundable damage deposit payable for this property of £250. Detached annex with kingsize bed and en suite shower/wc. 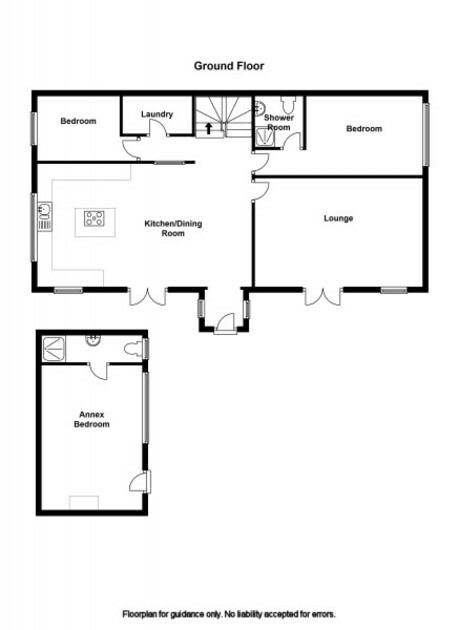 Accommodation:Entrance hall leading to comfortable lounge with doors to patio, leading to open plan kitchen/diner with doors to patio, utility room. Bedroom 1 - (ground floor) - Twin bedroom with en suite shower room. Bedroom 2 - (ground floor) - Bunk room. Bedroom 3 - King size bed with en suite shower room. Bedroom 4 - Twin beds. 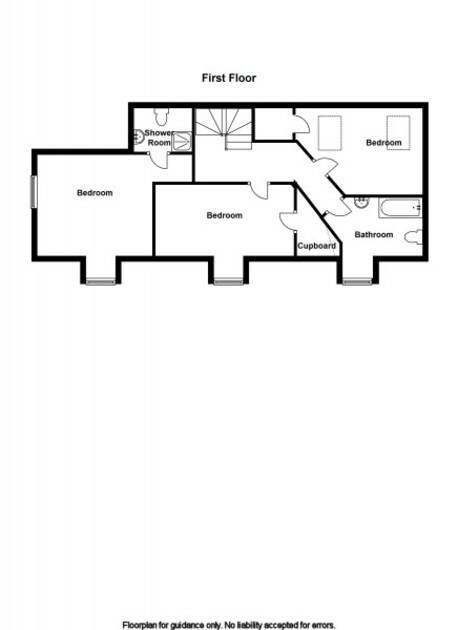 family bathroom, Bedroom 5 - Double bed. The annex - king size bed. Upgraded considerably at the end of 2015, with insulation added to the floor, walls and roof, thermostatically controlled underfloor heating throughout, new flooring, complete redecoration and new furniture, carpets & curtains. It also has a TV with Freeview channels, and is now suitable for accommodation all year round, rather than just during the summer months. Samensa is situated in the heart of the village of Rock. Centrally located Samensa is close to nearby facilities such as the local bakery and deli. Rock is a haven for water sport enthusiasts with Rock beach approximately 1.1m away offering extensive sailing and other water sport activities. Nearby Porthilly Cove is a sheltered shingle cove with shallow estuary waters - ideal for little ones. The world renown surfing beach of Polzeath is approximately 4 miles away and offers fun surfing lessons for all the family! 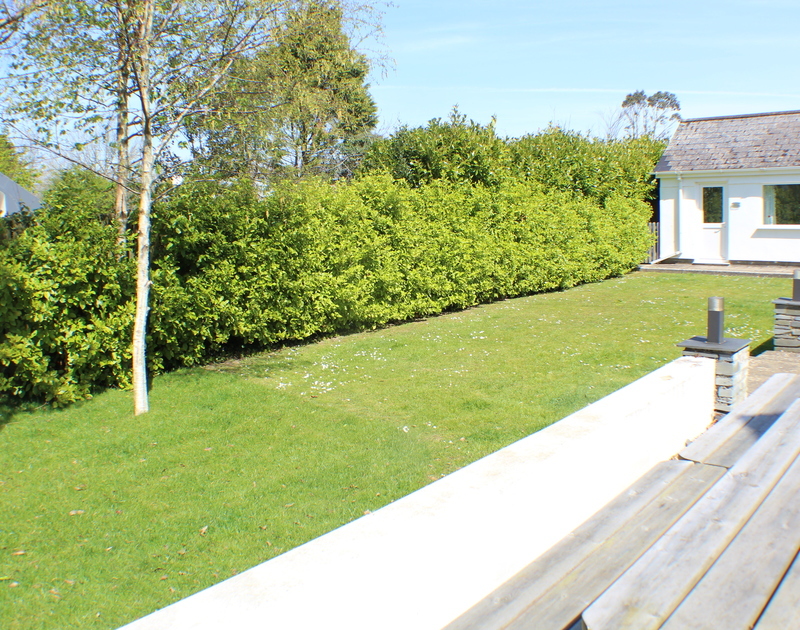 The property is situated on level ground with a flat approach. The shops are a short level walk away. If walking to the bottom of Rock towards the beach and restaurants the road does slope downhill gradually. Samensa sleeps up to 12 people and has 5 bedrooms in the main house and a 1 bedroom separate annex. The annex is located at the end of the drive and was upgraded considerably at the end of 2015, with insulation added to the floor, walls and roof, thermostatically controlled underfloor heating throughout, new flooring, complete redecoration and new furniture, carpets & curtains. 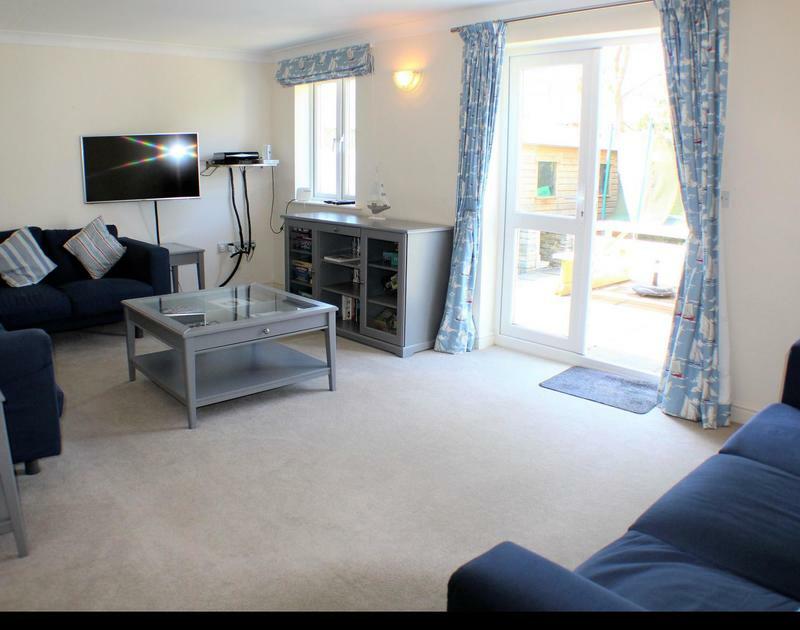 It also has a TV with Freeview channels, and is now suitable for accommodation all year round, rather than just during the summer months. In the main house the bunk room and a twin room are on the ground floor. The twin having an en-suite shower room. We look forward to welcoming you. If you have any queries or require any assistance please phone 01208 862299 or email rock@crw.co.uk . The nearest Railway station is Bodmin Parkway approximately 16 miles.There is a local taxi firm - Wadebridge Taxis 01208 812725.There is a bus stop located just in front of the entrance turning to Samensa. Bus timetables can be found at http://www.westerngreyhound.com/routes_and_times.php All the roads around the top of the village surrounding Samensa are paved. Towards the bottom of Rock where the road narrows near Porthilly there is no pavement so express caution when walking in the road - especially in the summer. Equipment hire for children can be hired locally at Babes and Bikes on 01208 815262. We believe the British Red Cross can loan medical equipment and mobility aids. Truro Branch 01872 260 173The local spar will take grocery phone orders and deliver 01208 863328. Wadebridge Tesco also deliver in this area. Key collection is from Cole Rayment & White Rock office address: Radley House, Rock Road, PL27 6NW Tel 01208 862299 (located just up the road from Samensa). Keys are to be collected from 3pm onwards on the day of arrival. Keys can be taken out to you in the car park if necessary - just let us know in advance. We do not take guests to the property but are on hand to answer any questions if required on arrival. There is a welcome pack to help you familiarize yourself with the property. There is parking at the property for 2+ cars on a level tarmac drive adjacent to the property only meters from the front door. The tarmacked drive is separated from the garden by a wooden fence and gate. There is a shallow step up and the gate then leads to a patio area that surrounds the front of the property. There are two external lights to the front of the property. The front door is 91cm wide with a small ramp into the property (raised lip of UPVC door). Once inside there is coir matting surrounding the door way leading to the open plan kitchen with ceramic tiled floor. Alternative points of entry are through French doors directly into the kitchen and French doors into the carpeted lounge.There is a pendant light in the entrance hall.Shoe storage rack not obstructing the entrance area. The staircase is a turning staircase with 13 steps and carpeted treads. There is a stair gate at the bottom for children and dogs. Pendant light in stairwell and velux window.The upstairs hall is lit by ceiling spot lights.The downstairs hall leading to the twin room measures 91cm wide with tiled floor and is also lit by spot lights. The sitting room is located on the ground floor with level access from the kitchen/ diner. The door opening is 73cmThe room has 2 soft brown leather 4 seater sofas and two leather arm chairs. Chairs can be moved if necessary. There is a low level coffee table with plenty of space around it. There is a wall mounted 42 inch flat screen digital television in the corner of the room with remote control, subtitles, sky tv and blu ray DVD player. There is also a broadband router - broadband is provided for guest's use.Lighting is natural daylight during the day and by night there are 4 wall lights are controlled by a dimmer switch. There is an additional table lamp in the room. 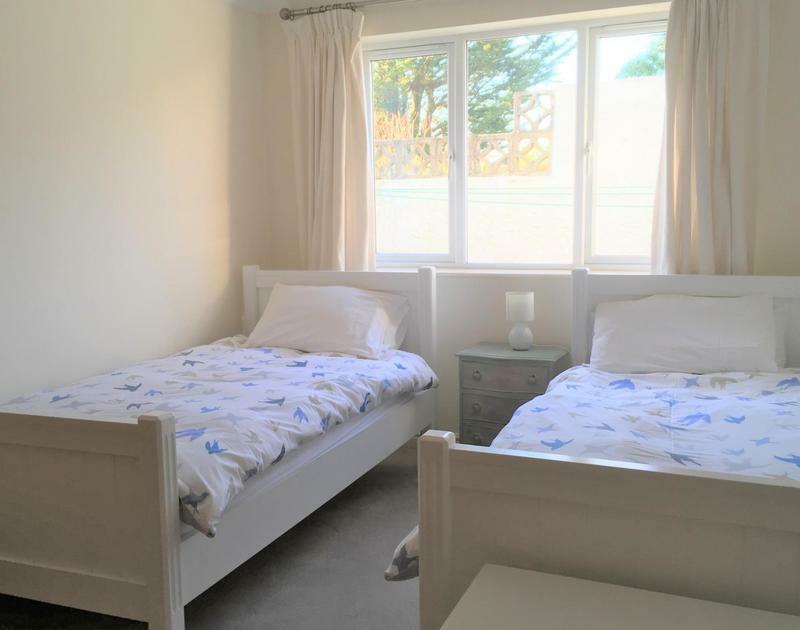 The room is carpeted with a thick, good quality cream carpet with underfloor heating.Three bookcases and 2 cabinetsThere is also a small gate to exclude dogs from the lounge if required. 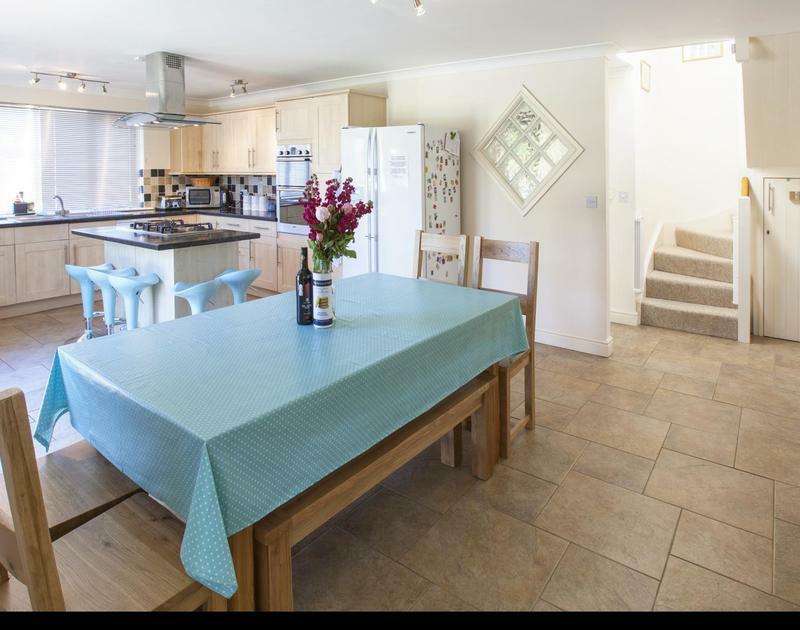 The dining area is located in the kitchen, this room is open plan with level access. The height of the dining table is 63.5cm The seating provided is wooden high back chairs with no arms and two benches either side of the table. All chairs are moveable to suit the occupier. Lighting by day is natural day light with ceiling spot lights above the table when artificial light is required.Ceramic tiled floor with underfloor heating. 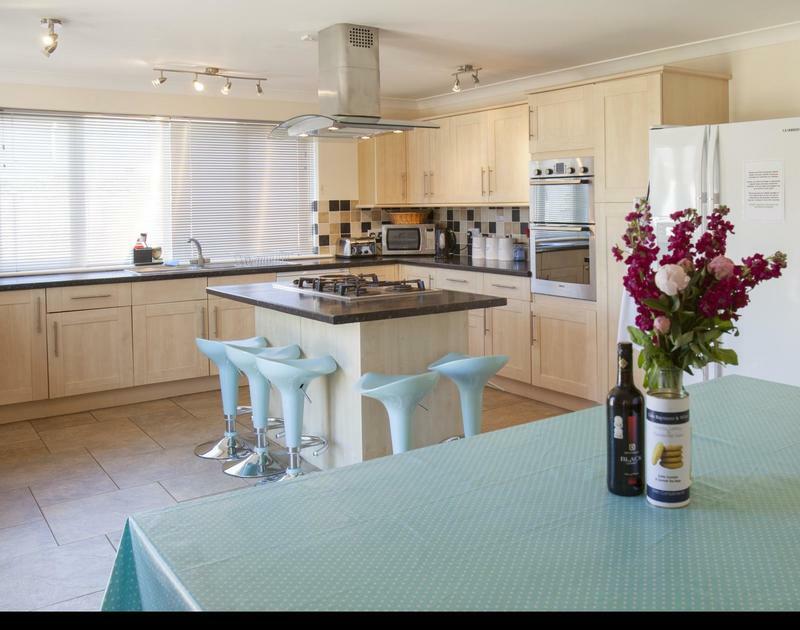 The kitchen is open plan and is situated on the ground floor with level access to the lounge. There are double French doors leading to the patio area there is a slight step and raised lip of the door. The oven height is approximately 75cm from the floor and has a drop down door, the grill is approximately 122cm from the floor and microwave approximately 89 cm from the floor.The work surface and food preparation areas are 89cm high. There is a central island with gas hob at the same height, this doubles as a breakfast bar with 5 plastic adjustable height stools. The sink is a double bowl sink with mixer tap at the same height as the worktops Large American style fridge freezer - lowest shelf 14 cm, highest shelf 152cmLighting is provided by a central spot light fitting with 4 lights. Two additional light fittings with two spot lights and a lit hood over the gas hob.Ceramic tiled floor with underfloor heating. 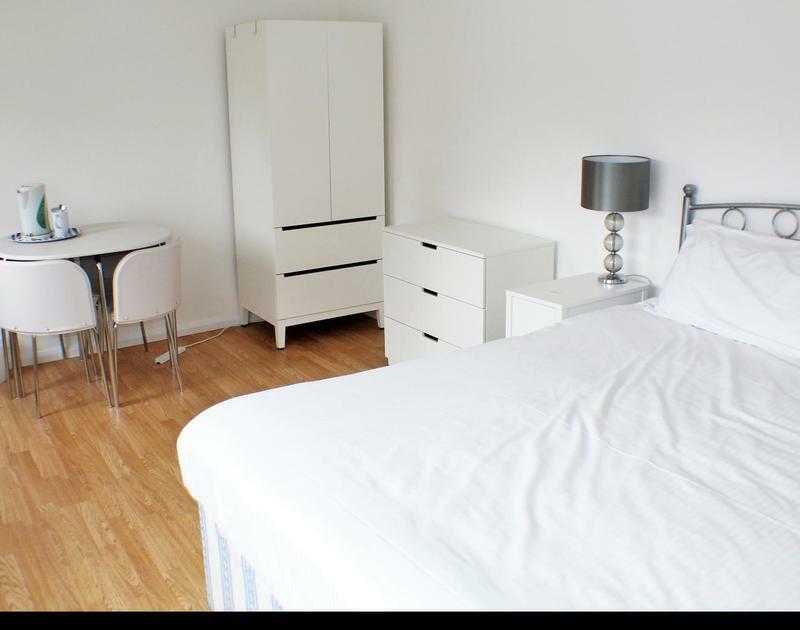 Ground floor twin room - door opening 73 cm wide with no obstructions. 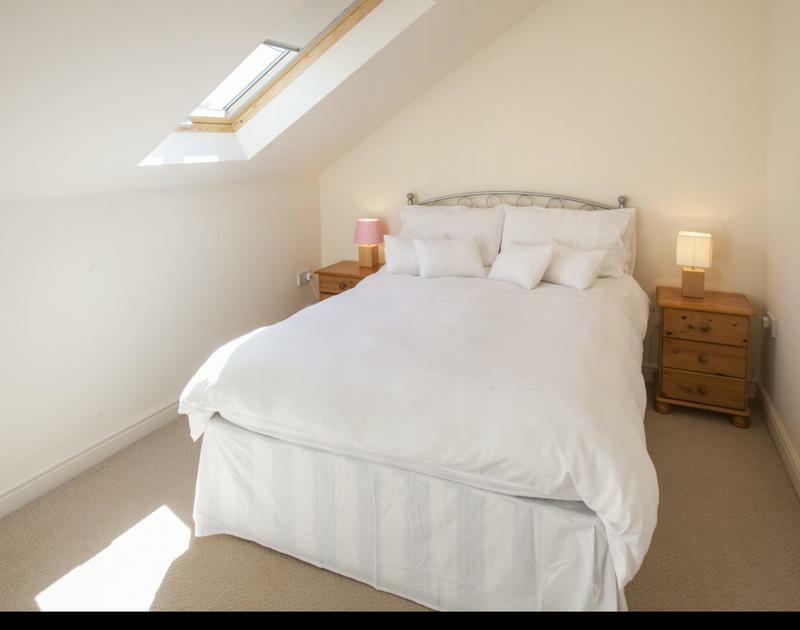 Both beds are 61cms tall divan beds with an 87cm gap between the beds.Lighting is provided by a ceiling light fitting with 3 spot lights and an additional table lamp.The room is neutral in colour with cream walls and carpet with underfloor heating. 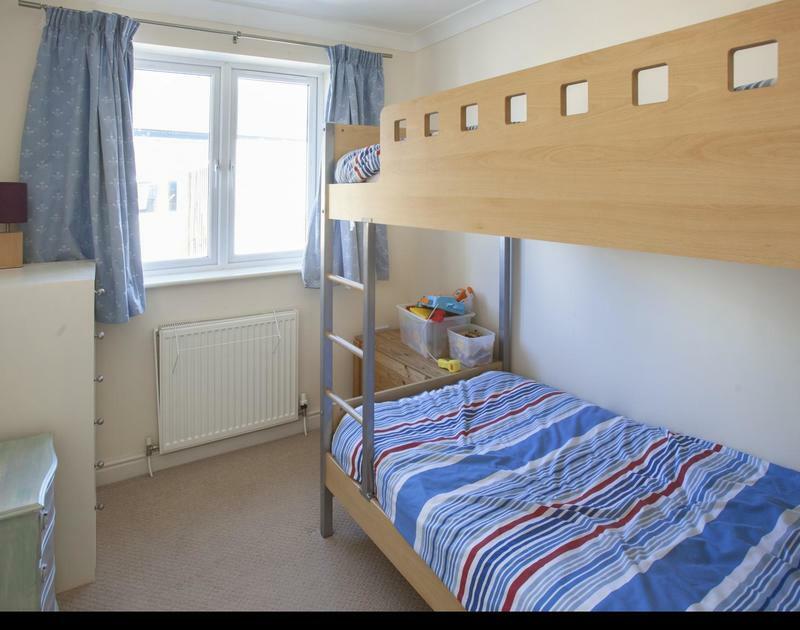 There is a large pine triple wardrobe with 5 low level drawers and storage basket.Polyester bedding.Downstairs bunk bedroom has full sized bunk beds, chest of drawers, ceiling light fitting with three spot lights. Neutral colour scheme and cream carpet. Heating is via a radiator.Master Bedroom (on the first floor) - door opening 73cms wide with no obstructions. The bed is a 50cm tall divan with limited space on one side (61cms) and plenty of space into the room on the other. The room is neutral in colour with cream walls and carpet. There is a large pine chest of drawers with 7 drawers and an open double railed wardrobe.Twin room (on the first floor) - door opening is 73cms wide with no obstructions. 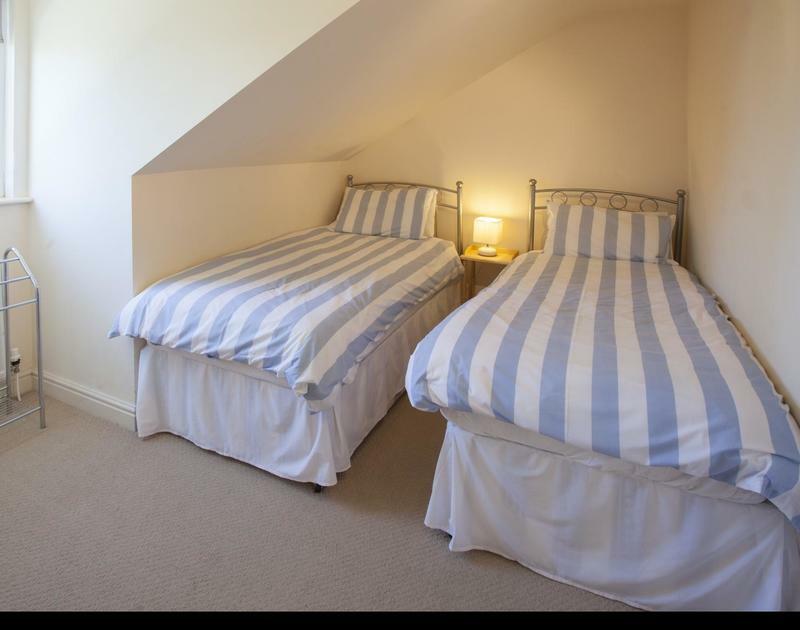 Both beds are 61cms tall divan beds with 46cm space between the beds.Lighting is provided by a ceiling light fitting with 3 spot lights and an additional table lamp.There is a walk in wardrobe with automatic lighting and clothes hanging rail. Door opening is 60cms wide. There is a tall narrow pine chest of drawers with 6 drawers.Double Room (on the first floor) - Door opening 73cms wide with no obstructions. 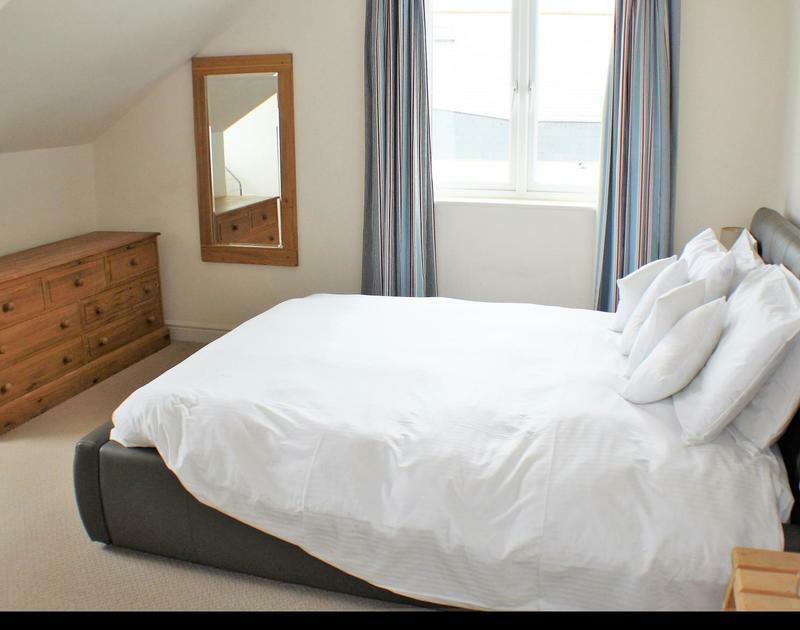 Double bed is a 61cm tall divan with limited space either side (71cms).There is a walk in wardrobe with automatic lighting and clothes hanging rail. Door opening is 60cms wide. There is a tall narrow pine chest of drawers with 6 drawers.External Annex on the ground floor separate from the main house. Level access allowing for the raised lip of the entrance door which measures 71cms wide. The bed is 61cms tall with plenty of space around. 2 side tables with lamps. Lighting is provided by a light fitting with 4 spot lights. There are 2 chest of drawers and a fabric single wardrobe. Table measuring 74cms tall with two wooden chairs. The room is neutral in colour with wood effect laminate flooring. There is also a small table and 2 wooden dining chairs. Downstairs ensuite shower room - Door opening measures 73 cms with no obstacles.the shower is a corner shower on a raised plinth with lip.the height of the wc measures 41cms from floor to seat.The height of the washbasin measures 81cms from the floor with pedestal.Light is provided by a circular covered ceiling light and the colour scheme is neutral with ceramic tiled floor . 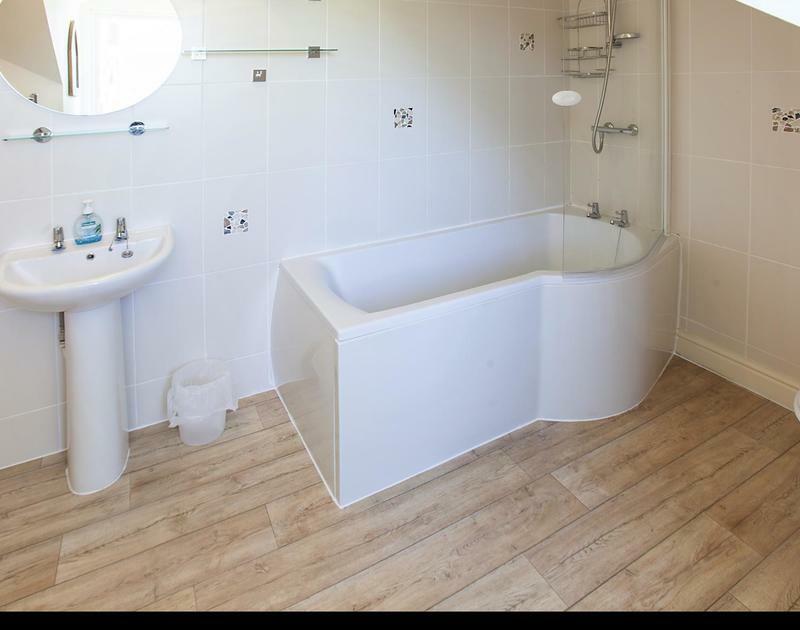 There are two glass shelves fixed to the walls for storage and a towel rail.Upstairs family bathroom - Door opening measures 73 cms with no obstaclesShower over bath 41cms tallThe height of the washbasin measures 81cms from the floor with pedestal. wc is 41cm from floor to seat.Lighting once ceiling light and one light above mirror at sink area. There are two glass shelves fixed to the walls for storage and a towel radiatorWood effect vinyl floorEnsuite shower room in annex has wc 41cms from floor to seat. Pedestal basin 81cms from the floor and walk in fully tiled shower with two steps in. Laundry room is located on the ground floor and is a small room off the downstairs corridor. Door opening is 73cms wide. Pendant light and ceramic floor There is a Washing machine, a tumble dryer, boiler and water tank in this room. There is a paved patio area that is accessed from all doors from the house. All French doors have raised lip as earlier described. 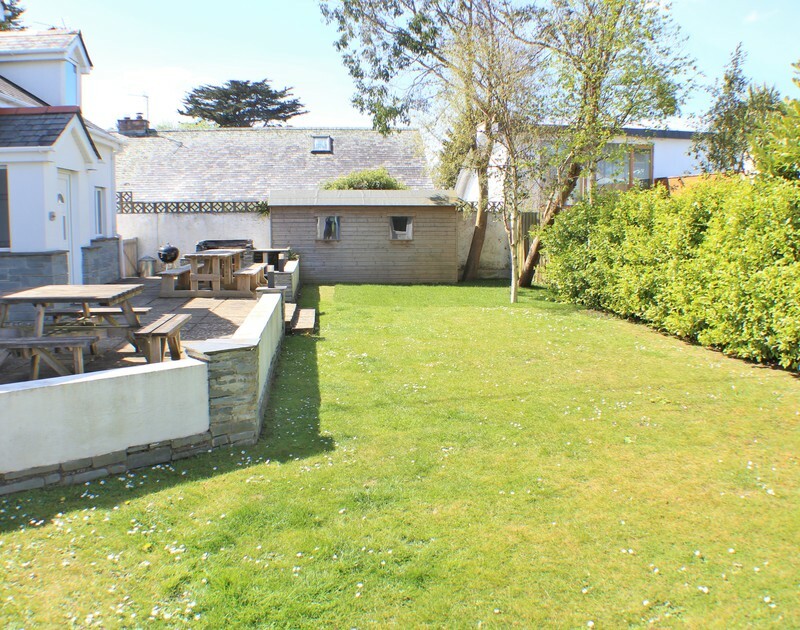 Wooden bench seatingThere is a step down to the lawn.There is a built in BBQ area on the patio.Wood shed in the garden (not accessible to tenants) The garden is enclosed on all sides by gates and fencing, thus safe for small children and dogs. 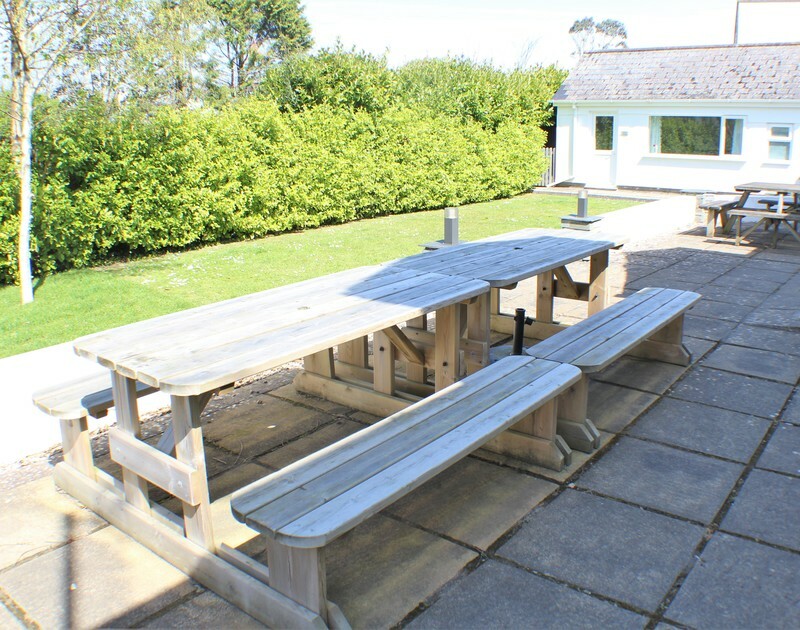 1 dog is allowed at the property with a £25 additional charge, trained assistance dogs are welcome.All the wall and floor coverings are neutral in colour.Mobile reception is fair at the property depending on the network.The nearest General Hospital is in Bodmin but this is not 24 hour. The nearest A&E department is in Truro which is approximately 1 hour away by car.The nearest surgery in the village is Wadebridge and Camel Estuary Practice and is located opposite the Spar. The contact number is for the central office in Wadebridge on 01208 812222. The Rock branch is open until 12.30, the Wadebridge branch is open until 6pm.Local attraction information can be found in the property. We have had a wonderful holiday here in Rock with family & friends. We found Samensa to be everything we required for our holiday. Thank you.